My Blogs: Althea's Collaboration With Get It Beauty On Their Real Fresh Skin Detoxer Products. Althea's Collaboration With Get It Beauty On Their Real Fresh Skin Detoxer Products. Since Christmas is around the corner, you can consider getting the Althea's Real Fresh Skin Detoxer for your family and friends. Althea is having sales now with a 10% discount. 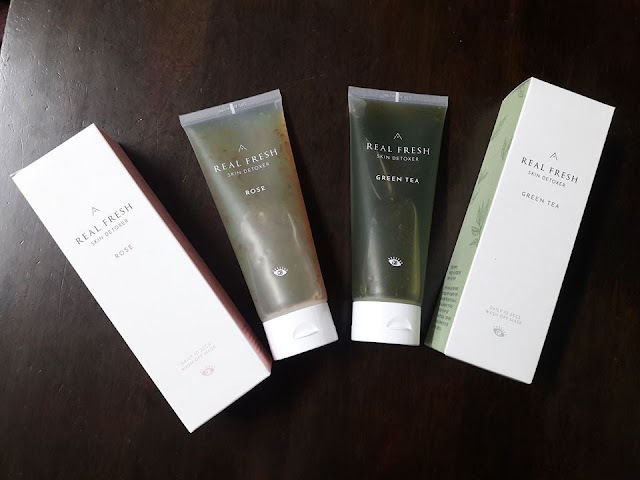 If you had been following my blog posts, probably you would have read my post on Althea's Real Fresh Skin Detoxer - 10 seconds wash off mask which was posted more than 2 months ago. The two products, the Real Fresh Skin Detoxer Rose (to be used in the mornings) and Real Fresh Skin Detoxer Green Tea (to be used at night before sleep) are really good 10 seconds wash off masks for a softer, smoother and healthier glowing skin . To know more details, read my earlier blog post HERE. Recently, Althea Korea did a product collaboration with Korea's top tv programme, Get It Beauty and it was a huge success. Did you know that K-pop star Jeonghwa from the group EXID is also a fan of this product? Check out this video below! To get your Althea's Skin Detoxers, click HERE.